Getting in touch with the deeper meanings of the Winter Solstice through readings, practices, poems, and prayers. "The Solstice is a time of quietude, of firelight, and dreaming, when seeds germinate in the cold earth, and the cold notes of church bells mingle with the chimes of icicles. Rivers are stilled and the land lies waiting beneath a coverlet of snow. We watch the cold sunlight and the bright stars, maybe go for walks in the quiet land. . . . All around us the season seems to reach a standstill — a point of repose." The dark shadow of space leans over us. . . . .
also lengthens its shadow over our small planet Earth. may doom us and our planet to an eternal winter. in no heart is there total darkness. that is hidden in every heart. See more from the "multifaith and interspiritual website": SpiritualityandPractice.com. Traditionally, pagans from many cultures have marked the winter solstice with rituals, celebrations, and vigils. The longest, darkest night of the year brings up feelings of need for the divine. Ancient Rome held 7 days of feasting and debauchery in the Saturnalia festival. In Pakistan, the festival of Chaomos over solstice welcomes the sun back with ritual bathing, singing and dancing, and of course firelight. The winter solstice falls on December 21st in the northern hemisphere this year. For Christians, we are in the final days of the advent season. Awaiting the birth of Jesus, we sit in darkness. The flipside of the darkest night of the year is hope. Traditionally, people have celebrated the winter solstice as a holiday of hope, knowing that more light is coming. The darkest night has passed and the days are getting brighter again. I celebrate the winter solstice with my family. My two elementary age daughters, my seminary-educated husband and I celebrate Christmas in the traditional way as well. My older daughter played the wise king in the church Christmas play. My younger daughter plays with our well-worn nativity sets, ensuring every animal has at least one ear broken. We have a beautiful Christmas tree, with a star on top, decorated with owl ornaments and packed with colorful lights. But on the evening of the solstice, we shut off all of the lights in our home and gather together. I light a single candle in a circle with our family in our darkened living room. The girls quiver with excitement and the animated hush that always comes with kids and fire. I tell my children that tonight is the longest, darkest night of the year. 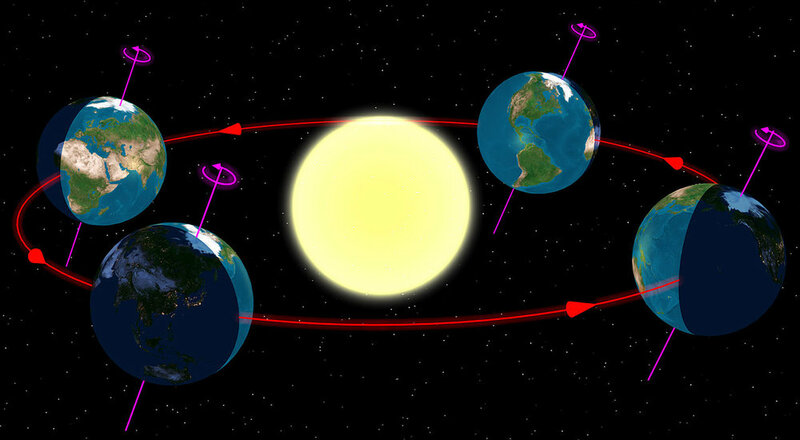 The tilt of the earth’s axis will keep us away from the sunlight for the longest time this year. I pull out the globe and show them a hands on example of what I mean by the earth’s tilt. We often look at models of the solar system, and even re-enact the moving pieces with various balls from the toy box. We are a science family–memberships to the Science Museum, sending our kids to camp with the naturalists at the local park and taking our family vacations on state parks. For me, the living science all around us has always been the greatest natural revelation of God. Our children love to point out constellations and tell others how God made every part of this ever-growing universe. The solstice and this dark night are examples of God’s creative work. Yet in that darkness, there is always light. I bundle my kids up in our whole winter gear: snow pants, boots, coat, hat, mittens and scarf. I take them outside on our quiet city block to look at the night sky. In the darkness you can always see the moon, stars, or failing that, the reflection of the city lights on the clouds. In the midst of our darkness, there is light. For me that’s what Advent and Christmas is really all about. I always thought that the December 25th date that we celebrate Christmas was a bit arbitrary. It’s not when Jesus was born. We don’t have a birth certificate for the King of Kings, but we do know it probably wasn’t in what we know as December. But as I learned how Christmas had been placed near the winter solstice to supplant the pagan festivals, it started to make sense to me. Ancient Christians had wanted to replace solstice ceremony honoring the Sun and the gods with a time of honoring Jesus as the Light of the World. Christians have long wrestled with how to interact with culture and pagan heritage. Some pagan symbols, like the Christmas tree, have become fully embraced by the Church and reclaimed from their pagan origins. However, most Christians reject pagan practices of praying to celestial bodies or worshipping Mother Earth. For me, the solstice falls into a different category. It’s not something that a culture has created or a feast that a specific tribal religion has mandated. We are not worshipping the star Sol or our planet that revolves around it. We are honoring the creation of the unknowable God revealed in Jesus Christ and the world God made. I don’t want to replace the solstice. For me the seasons and turnings of our planet are spiritual and holy. God created this wonderful dance in the heavens. The winter solstice reminds me of death and rebirth. The candle in the darkness reminds me of the Light that is to come.